Will the upcoming kira models like the kira 75 have the new weight design? really like it! The 75 prototyping stage is already done and it has the stars and sun weight design, which will stay as is. 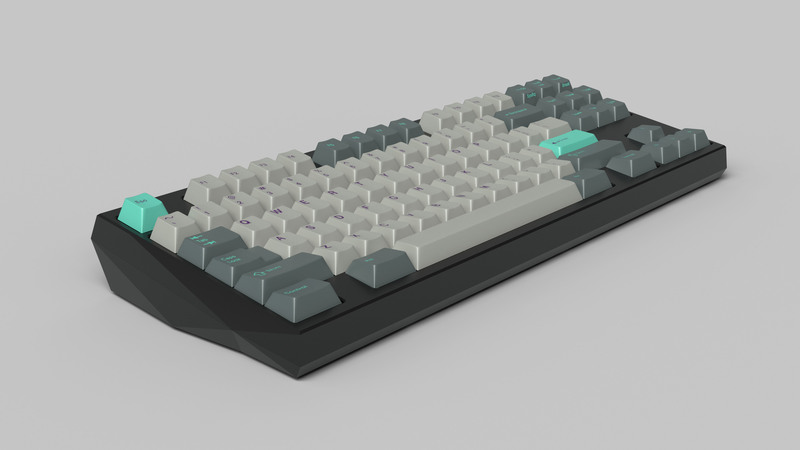 The TKL will probably be the first board to be run as a group buy with the new weight. Does this mean the TKL will run before the EX? That is the schedule we currently have, yes. I'm a big fan of the 75% side angles and overall design. That red spacer is pretty snazzy too. Thanks! 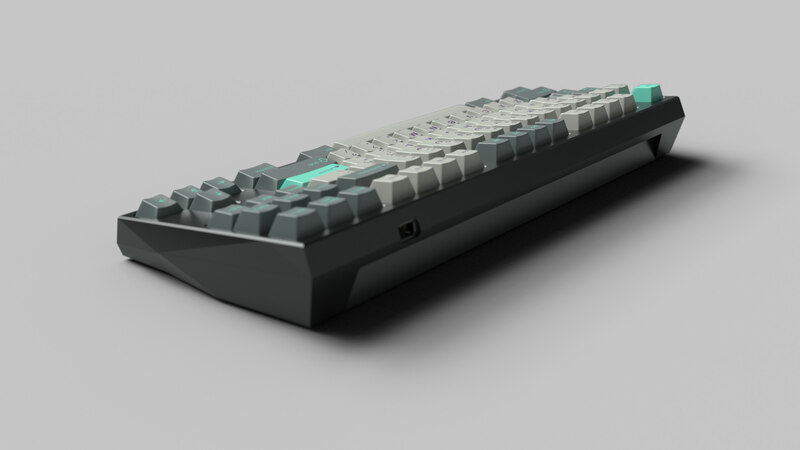 The TKL prototype hasn't actually started production, probably next week! PCB should be compatible with Leeku's, but we're looking into having our own designed too. For the TKL GB, it's up to beamingrobot. I'm not sure if he's willing to do overlapping buys, so I can't really say since we haven't really finalized any schedules. I have to say the 75% is currently my favorite too. I wasn't sure it will look good although I was thinking it should, but when I saw the prototype in person I loved it! 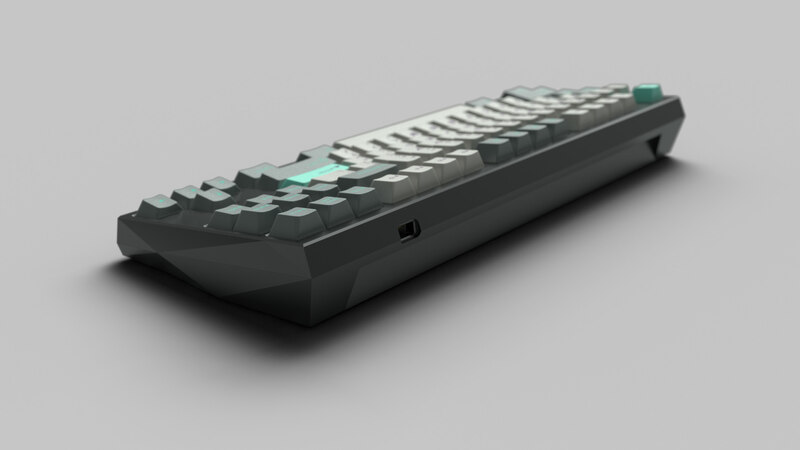 Finally finished doing the CAD for the TKL (I hope), so I'll be going ahead with prototype production soon™. Finally finished doing the CAD for the TKL (I hope), so I'll be going ahead with prototype production soon . So. Much. Want. Definitely going to be down for this when it's out! So will the 75 be the next for a group buy? Any price estimate for this bad boi?! The current plan is the TKL next, after the EXS. It can change, but it's not really solely up to me. Diffuser/alu middle? Single piece or double piece case? Sorry I missed this question, there's no diffuser or aluminum middle insert. I don't think it fits the design, a middle insert will break the facets and distract from the design rather than complement it. It's a 4-piece kit; a top, bottom, switch plate, and weight. Holy.... the angles are just so damn clean going to move heaven and earth to try and get my hands on one of these! I know it was asked earlier in the thread, but I did you settle on ISO support for these upcoming projects? Mainly interested in the Kira96 and the TKL. Love the looks of these boards. I'm considering adding a universal plate along with an ANSI plate for the TKL. Just a suggestion, but It would be nice to see 1 more colour make its way in to the mix for the TKL, maybe a nice orange or green or blue. That custom green Kira60 looked so good! I agree, and good green anodizing is rare. Plus a fresh round of terminal is soon. Can I vote for metal-inspired anodizing colors, like rose gold, copper, bronze, pewter? I mentioned it in the EXS IC, but I think those are great for layered case options. "Space gray" is a relatively good approximation of stainless steel, so I'm glad it was an option for EXS (would be even more interesting in a brushed finish rather than sandblasted.) In general some less common and less pure colors would be cool. Agreed! A dark green would be really nice and doesn't seem to be offered very often. Personally I'm also biased towards one of my favorite colors which is burgundy. GMK Red Samurai anyone? I also support the idea of less common colors! For the colors, we'll just have to discuss that next time. It adds a lot of work for color matching and quality assurance and the factory found multiple colors to be too problematic. It's hard when most people that are voting choose the safer colors most of the time. I'll have to talk to beamingrobot about this next time. Great news about the plate! Let's hope it works out As for the colors, that makes sense. I'm sure it will look good in any color though! Also, just for the record, BeamingRobots factory produces the nicest boards I’ve seen. I was kind of amazed by the Kira60, there were so many hard edges without a mark or occlusion. Plus there are a few different curves and all are perfect. The anodizing is great. My favorite is the brass plates tho. Somehow my kira plate weighs an extra ounce over my Leandren plates. And the cuts and blasted finish are perfect. My favorite part of the design that I hadn’t even noticed in the renders is the little flare out on the top left/right corners. That is hands down, some of the best pink anodizing I've ever seen. Nice! That is a most vivid shade of pink! Love the gray. Is this the same gray as for KIRA EXS? Looks darker, but can't be sure. Good, I thought so (I like the space gray of EXS)! Looking snazzy though. This TKL board looks amazing! looking forward to getting this! BTW, I'm here in Singapore too working as a creative designer. Got the EX prototype, waiting for the new PCBs. It has the KIRA weight. That weight is stunning I'm so excited!!! P.S. I know it's probably too late to make corrections, but IMO it would be better to separate F-row on EX to differentiate it from EXS. Are all of these going through I:C? Just curious. And will there be a wider GB of the KIRA60? I knew he had done the limited run of KIRA60 through beamingrobot, but hadn't see if he was going to expand that, and if not, if beamingrobot even had the capacity for GB's of that size. As far as I’m aware the Kira60, EXS, TKL, EX, 75 etc are thesiscamper's custom boards made to extremely high quality with customiseable colours, plates etc. They intend to run Limited GB’s of up to 30 in a raffle format and not re run them ever or at least for a long while. The input club Kira is going to be a Kickstarter that’s run by I:C and will have a much larger MOQ or maybe even an unlimited production over a certain time period so will be more accessible to the masses and those who have been wanting a Kira kb but have missed out on the preceding GB’s. I can’t say whether the board will have the same quality of materials and heft, but I’m sure the guys will be able to clarify this all for you before too long. Page created in 0.134 seconds with 73 queries.